Most people go to the doctor every so often for a physical exam, even if they're feeling well. The doctor looks, listens, takes blood, and occasionally orders some tests — just to make sure everything is okay. Like humans, trees are very complex living things. They, too, need to get "checked out" once in a while, even when they're looking healthy. That's where we tree doctors come in. We do house calls! We examine trees, occasionally draw samples, recommend procedures or surgery, and talk about what's best to maintain their health. We like our tree "patients" to stay strong and healthy for as long as possible. But if a tree is diseased and dying, we won't hesitate to cut short its "suffering" by advising removal. We will tell you the truth about your trees. 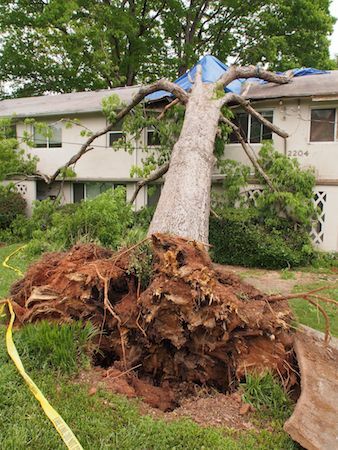 Please review our information about tree inspections and our answers to our most frequently-asked questions. Many other issues are addressed in our "Advice" section. If we have missed something, please let us know! Contact us us with your own questions and/or suggestions. We will answer you as quickly as we can.